In this Baseball Experience tour, enjoy Japan's most popular sport with a small group and a local tour guide who is also an expert and fan of Japanese baseball (private tour option also available). Learn about what makes Japanese baseball so interesting, learn the team's chants and anthems and support the Yakult Swallows team with other fans. Baseball (commonly called yakyū in Japanese) was first introduced to Japan in 1872 with professional competitions starting in the 1920s. It is now the country’s most popular sport and the current league (Nippon Professional Baseball) consists of two leagues of 6 teams each. Attending a baseball game in Tokyo is a great experience and introduction to modern Japanese culture. Many say that Japanese baseball culture is very different than other cultures, including that of America, where baseball is also a national sport. While the rallying and cheering in Japanese baseball is passionate and cheerful, it is also known to be respectful and organized–and is an absolute delight to be a part of. In this Baseball Experience tour, you can enjoy a baseball game with a small group and a local tour guide who is also an expert and fan of Japanese baseball (private tour option also available). 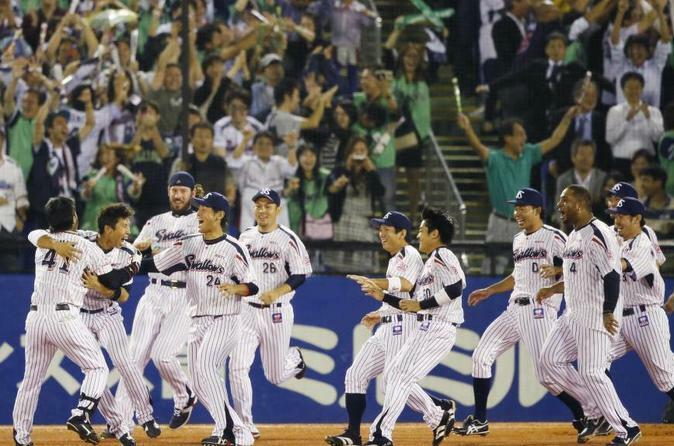 Learn about what makes Japanese baseball so interesting and support Yakult Swallows team. The game can last anywhere from one hour to three hours (the tour will end when the game commences).